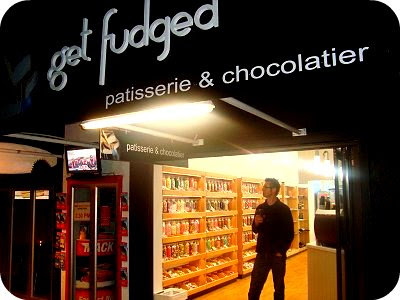 After our exciting afternoon yesterday we decided to stop off in Paihia for a coffee fix before our long drive home, and this is where we discovered the most yummiest new shop around called, "Get Fudged". 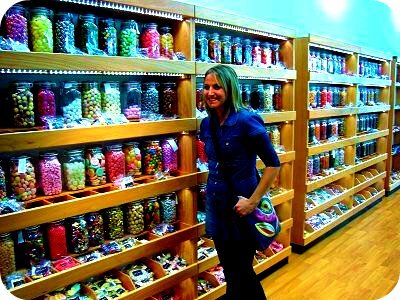 Imagine a coffee shop that also has rows and rows of lolly jars on shelves (in every colour and flavour imaginable), delicious deli slices as well as a cabinet full of the most divine looking fudge ever - and there you have this delightful shop we discovered. The memories flooded back as I spotted many of my childhood favourites. They also had separately bagged black jellybeans (my mum's favourites). Get Fudged has only had this shop open for a few weeks, and I got special permission from the lady manager to take photo's of her shop if I spread the word. They even give you little samples of their fudge with your coffee! So next time you are in Paihia, Northland (New Zealand), you just have to check out this shop - but be warned... it is impossible to leave empty handed (but you may just leave with an empty wallet). Creme Brulee fudge - sounds like a dream! Lovely! ooo looks lovely we live on an hour from there,dont know if thats a good or bad thing now seeing this delish place oh my!!! love the feeling of seeing childhood ol fav lollies! the only thing missing from that last shot is the signature 2 thumbs up pose! I just gained 5 pounds while reading your post and looking at the photos! Oooh that looks and sounds like such a fun place! I wish we could stop in there, but...we live far, far away. Too bad Paihia is a wee bit far for an afternoon drive! Great, now my husband wants to move to Paihia : P better not show my five year old or it might actually happen! YUM!!!!!! ... how very cool! 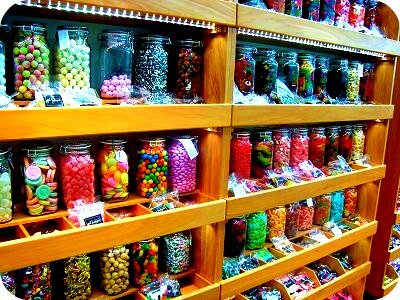 we need one of those shops in christchurch! Oh yum! I will totally be visiting there next summer. ahhh im definately going there when i go back home! 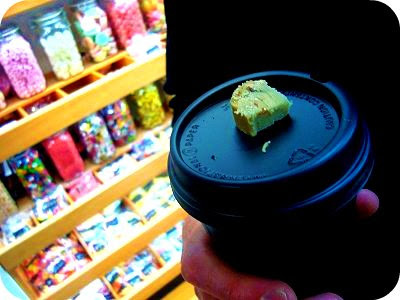 What is the green and yellow fudge? 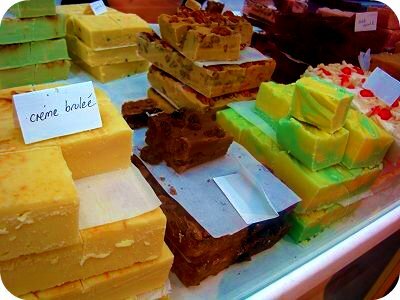 I really like fudge that is solid and not "barely" set - this lot looks like it'd do the trick! Oh my gosh! That shops looks amazing! !